How European Appliance Brands Started in the U.S. The Ugly Truth About European Appliances in the U.S.
We all know about the influence high end European appliances have had in the U.S., but few of us know “the rest of the story” about the struggles of European appliances in the U.S. in the early days. To understand how our appliance industry got to where it is in 2013, we need to look at the watershed period dating from the late 1980's up through formation of the European Union (EU) in 1994. This was a time of consolidation. American appliance firms were gobbling each other up and eager to expand into Europe (my next blog). Similarly, large European appliance manufacturers consolidated and began to eye the lucrative U.S. market. Swedish based Electrolux, the world's largest appliance manufacturer at the time, purchased the U.S. company WCI (Frigidaire). Frigidaire made an early attempt to establish a foothold in the high end market with the European-built Euroflair brand. The product was a clumsy attempt to pass off in the U.S. poorly constructed, undersized products as European luxury. The trade soon dubbed it “Euroflop”. Eventually, Electrolux launched a full line Electrolux brand in the U.S. as its premier brand made for the super premium segment of the U.S. market, keeping Frigidaire for the mass market. 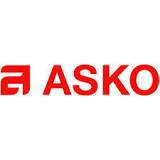 Another Swedish company, Asko, decided to go it alone and invaded the U.S. with dishwasher and laundry products. It was tough getting a foothold with the tiny tub washer, and condenser dryer (non-venting). The dishwasher had the great features we now love in a European dishwasher, but wasn't “Americanized” to handle our different sized plates. In Europe, solid disc elements were used in electric cooktops rather than the coil elements we had in the U.S. Again in the late '80s, Dacor and Thermador pioneered the introduction of these cooktops in the U.S. Sales of solid disc cooktops skyrocketed for a year or two as everyone jumped on the bandwagon. Then the complaints began. Some consumers complained that the solid discs were slow to heat, but the biggest problem was that they stained and discolored. The solution was to “cure” them with something that appeared to be shoe polish. The American appliance consumers were not buying it – literally, and sales plummeted as radiant cooktops became the norm. 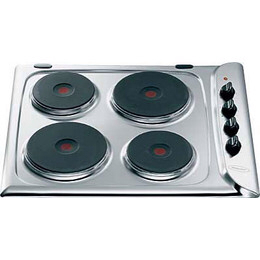 Solid disc cooktops are still sold in Europe vs. coil element tops. The German company BSH (Bosch) purchased Thermador to establish their U.S. presence. Thermador had a solid position as a high end U.S. manufacturer of kitchen appliances. The Bosch brand entered the U.S. market much like Asko with a tiny tub European washer, dryer, and a European dishwasher. They learned quickly and developed a dishwasher suited to the U.S. and today have significant market share and a highly regarded dishwasher. Unfortunately, they didn't have the same success when they launched their american-sized washer and dryer. They discontinued it, but continue with their compact washer and dryer. Bosch added cooking products and refrigerators for a full appliance line designed to compete in the mass premium segment and complement their high end Thermador and their super luxury Gaggenau brands. This entry was posted in Appliances and tagged Asko, Bosch, cooktops, Dacor, dishwasher, Electrolux, Thermador. Bookmark the permalink. 1 Response to How European Appliance Brands Started in the U.S.
Art, good job on the history lesson of the appliance world.